The Dumbbell Side Split Squat is a lower body exercise that primarily targets the quadriceps but also works the calves, glutes and hamstrings. This is a compound exercise which is well suited to intermediate lifters. 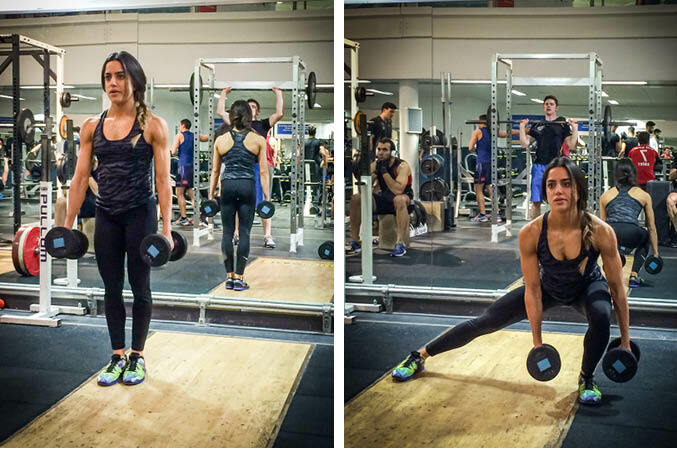 Lunge to one side, keeping both heels on the floor, going as low as you can go. Let the dumbbells fall on either side of the bent leg. Drive through the heel of the bent leg, pushing yourself back up to a standing position. Keep both feel flat on the floor throughout. 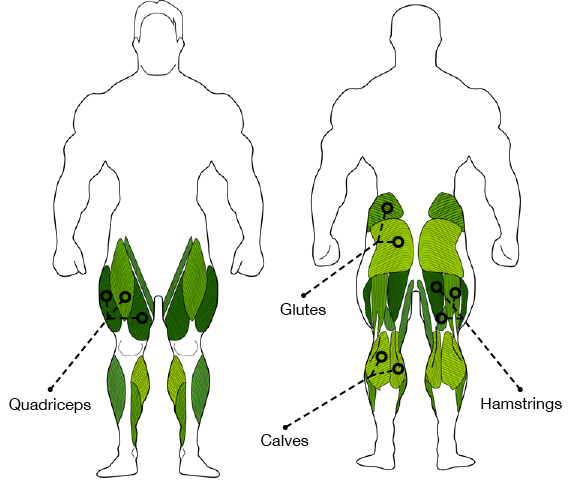 Alternate legs until you have completed all of the reps.